A reflection of light made some players think an Irish lottery winning ball had two different numbers on it, lotto chiefs have said. 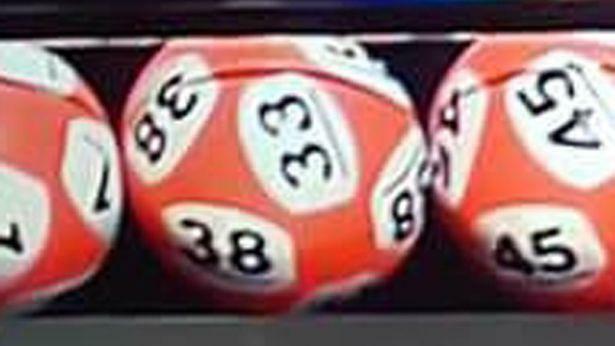 After Saturday night’s Lotto Plus 1 draw, a picture shared on Facebook appeared to show the number 38 ball also had the number 33 on it when it was drawn. Some on social media suggested the draw was fixed but National Lottery organisers defended its integrity yesterday. “A brief reflection of light during filming caused an illusion and some players to think there were two numbers on ball 38. This was not the case,” the lottery said in a statement. There were no winners of the €5 million jackpot. The numbers drawn were 9, 16, 25, 31, 38 and 43, and the bonus number was 13. In the Plus 1 draw, where the confusion emerged, the numbers were 01, 04, 29, 38, 45, 46. In 2013, the National Lottery was forced to clarify when a mistake when the number 9 ball was incorrectly called as a 6 during the television broadcast. Organisers paid out on winning tickets containing the number 9 as well as those which would have won with 6 in the combination. Last year 1.4 million people played lottery games on a regular basis, more than 40 per cent of the adult population.